Apple Watch gets a lot of stick for being a “me-too” product, and people who don’t see the need for a smartwatch assume the business is a bust. There’s this crazy perception that Apple Watch is just not selling — but that couldn’t be further from the truth. The Apple Watch, alongside other Apple wearables, is now raking in billions of dollars every year. The business is huge. So huge, in fact, that it would be a Fortune 500 company all by itself, outselling supposed smash hits like Microsoft’s Surface tablets and the Amazon Echo. Here’s why Apple Watch isn’t the flop you think it is. When it made its debut, it wasn’t really clear who the Apple Watch was for. It was Apple’s answer to rival watches from the likes of Samsung and Google, but not a lot more than that. It offered some unique features, but nobody really explained why we needed a smartwatch at all. That’s still very much the case two years on. But despite being an inessential gadget, Apple Watch is selling incredibly well — and attracting new fans by the bucketload. Alongside other Apple wearables like AirPods, it bagged the company more than $5 billion in the last 12 months. Apple’s wearables business is now “the size of a Fortune 500 company” all by itself, said CEO Tim Cook during yesterday’s earnings call. The smallest company on the Fortune 500 list — Burlington Coat Factory, a discount retailer — does $5.6 billion a year in revenue. 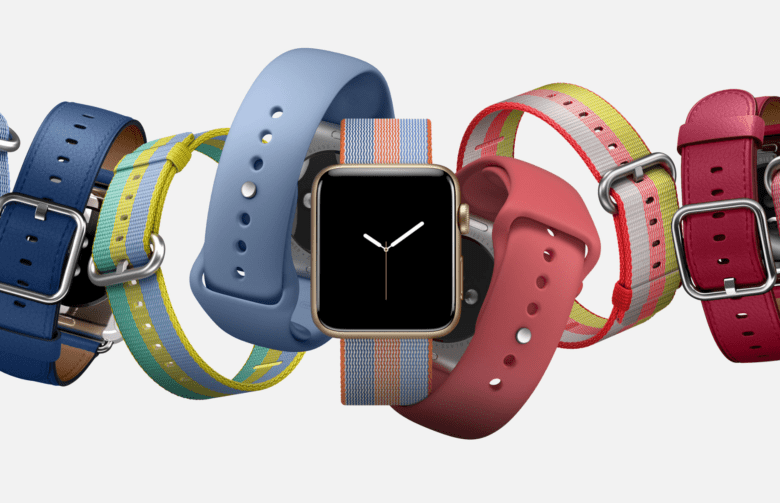 If what Cook tells us is true, Apple’s wearables pull in at least that much revenue. Apple still won’t tell us exactly how many Watch units it has sold, so it’s difficult to establish just how much of that $5 billion-plus came from Apple Watch alone. But we can make some educated estimates — and Cook did reveal that Watch sales nearly doubled year-over-year. Ben Bajarin, a principal at Creative Strategies, estimates that Apple sold around 3.2 million Watches last quarter. That’s a fraction of the number of iPhones sold — obviously — but it’s still a significant figure that makes this a key device for Apple. It’s clear just how significant when you compare Apple Watch sales to those of seemingly hot products from competing companies. For instance, Microsoft’s supposedly stellar Surface laptops raked in just $831 million last year after falling 26 percent year-over-year. Amazon’s Echo line, the most popular smart speakers on the market today, sold just 8.2 million units over two years. Apple Watch is even outselling traditional wristwatches from the finest watchmakers. Thanks in part to a crackdown on corruption in China, sales of Swiss watches fell by 10 percent last year, making 2016 the worst year for the watch industry since 2009. Rival smart wearables are also struggling. Fitbit, which still holds first place in worldwide market share, saw its revenue fall 20 percent in the all-important holiday quarter of 2016. As a result, the company laid off 6 percent of its workforce. It expects to make just $1.5 billion to $1.7 billion in revenue throughout 2017. The perception that Apple Watch is a dud, then, is far from the truth. Those who do get their hands on them couldn’t be happier. Research from Creative Strategies shows that 98 percent of AirPods buyers are satisfied with their purchase — a new record for customer satisfaction for Apple. The original iPhone earned a 92 percent satisfaction rate.